How long can the brain go without oxygen? If you answered 4-6 minutes, you are CORRECT! The human brain can survive up to 6 minutes after the heart stops. However, push past the 6-minute mark, and your chances of brain damage increase dramatically. During cardiac arrest, a disturbance in your hearts normal operating rhythm, Cardiopulmonary Resuscitation (CPR) can indeed be a lifesaving technique. If CPR is started within the first minute or two, it can triple a person’s chance of surviving. Statistics show that 70-80% of cardiac arrest occurs at home or at public places, this means the closest person at hand is often a bystander with no medical expertise such as a relative, colleague or a person passing by, statistics show that only 46% of cardiac arrest victims in real life actually receive CPR. 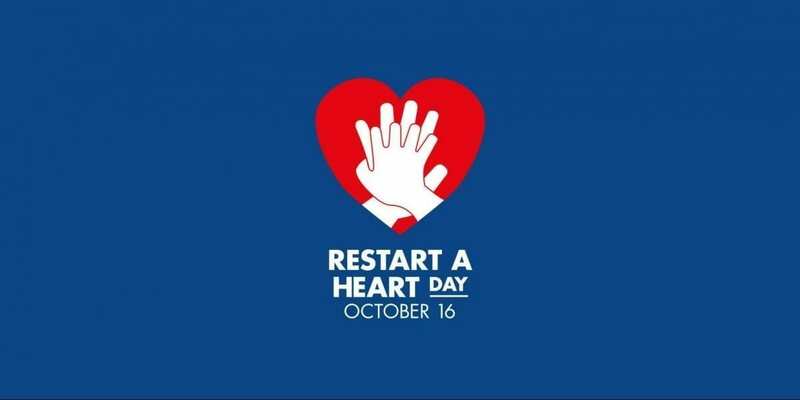 October 16th, 2018 marks World Restart a Heart Day. Help change these numbers by taking some time out of your day to learn about basic life support, First AID, re-engage and refresh your skills and rebuild confidence in performing CPR. Just a few minutes of your time could save some one’s life. This life could even be someone in your family or inner circle. Take the proactive step and be a LIFESAVER! For more information visit National Heart Foundation.